DO YOU NEED A MORE FLEXIBLE OPTION FOR CREATING INCOME? Have you been wondering if blogging might be a good fit for you? I created this special workbook to help you answer that question. Just click the button below and you will have instant access to this FREE Workbook! Get My FREE Workbook Now! Having a flexible schedule that you can customize to fit your individual needs? Creating income for you or your family? Having a less stressful work environment? Being able to control how much time you spend working? Helping others improve their lives? There are not many jobs out there that can give you all of this. BLOGGING DOES. And, believe it or not, the world needs you! You have something to share that is unique, and that no one else has. Something that can make this world a better place and a positive impact in others' lives. You many not exactly know what that is yet, but I PROMISE it's there! But, you still need to find out if blogging is right for you. 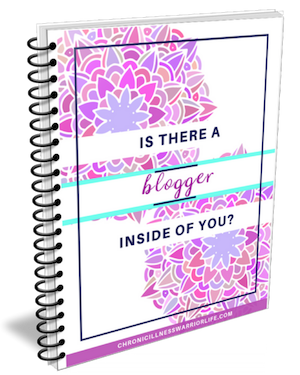 That is why I created the FREE Workbook, "Is There a Blogger Inside of You?" So go ahead, let's find out!